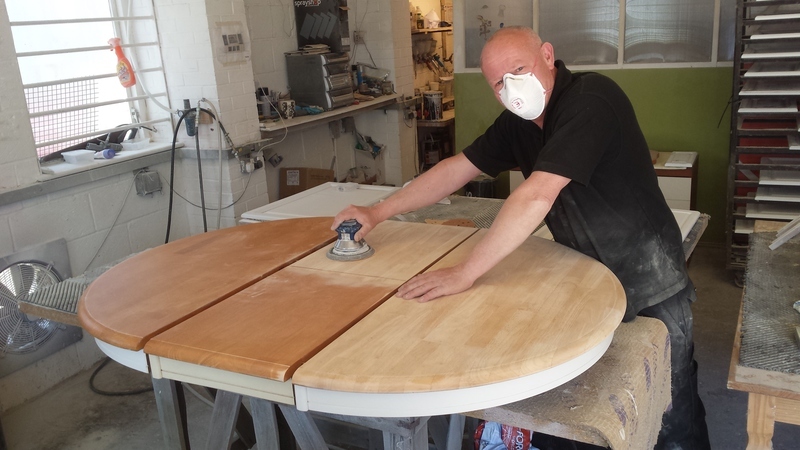 Wood Lacquering... 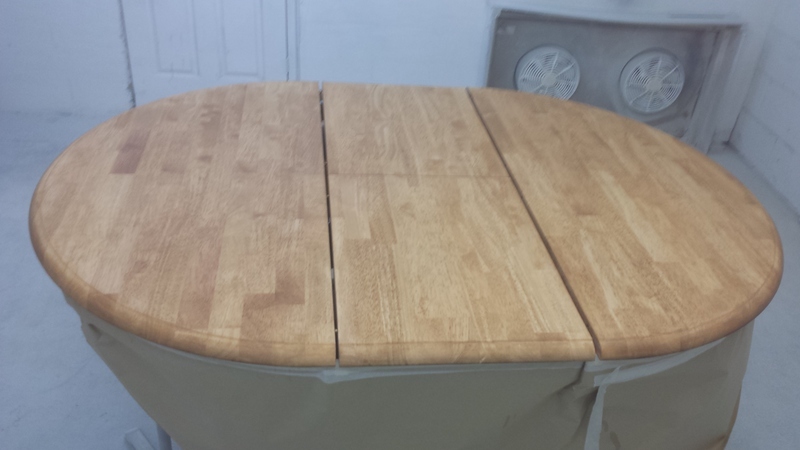 Restore The Shine! 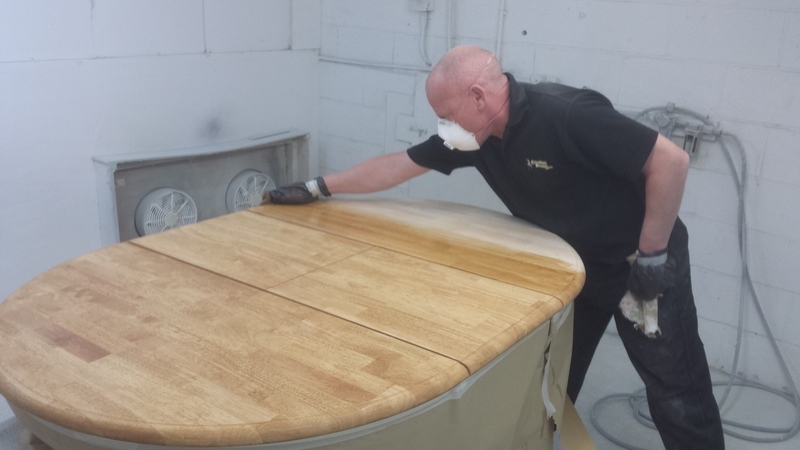 We are also able to apply a wood colouring stain and spray a non-yellowing, hardened polyurethane acrylic lacquer to all types of wood & veneers, from a matt to a high gloss finish. 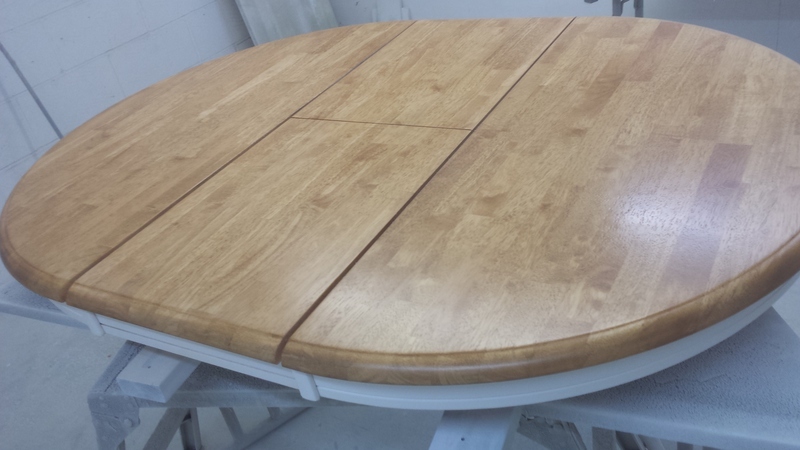 If you have a solid wood dining table, chairs or any item of furniture that has lost it's shine we can relacquer it for you rather than have it sprayed into a colour. 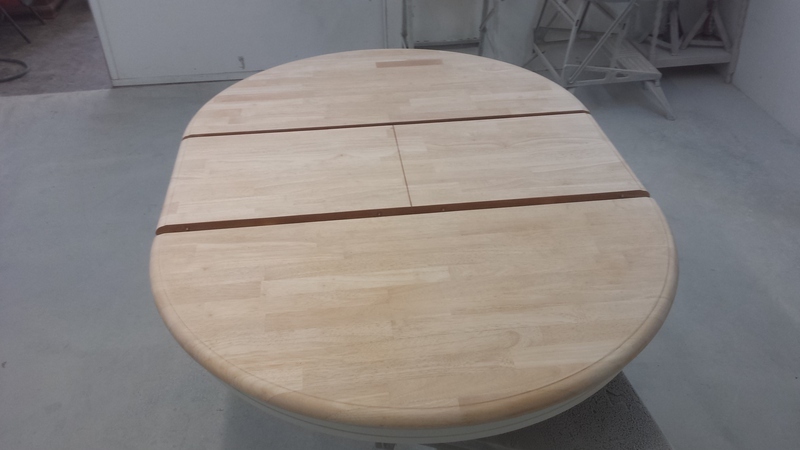 We recently had customers who were extending their kitchen and had some brand new doors made. 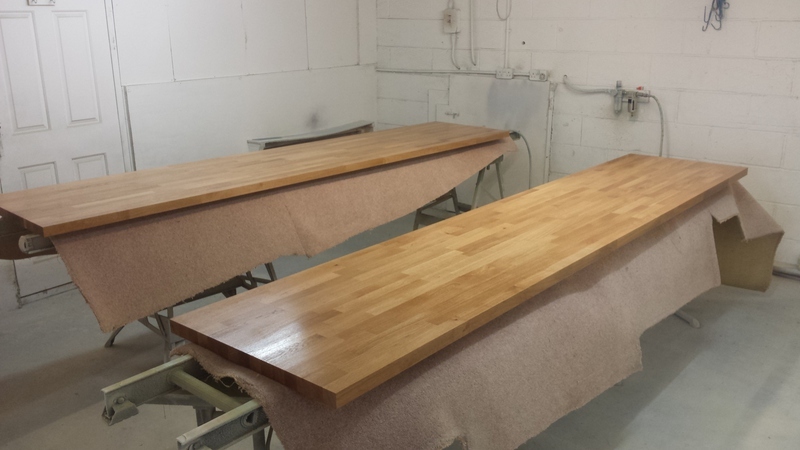 They were still in their natural wood, and they needed the doors and drawer front stained and lacquered to match the rest of their kitchen. 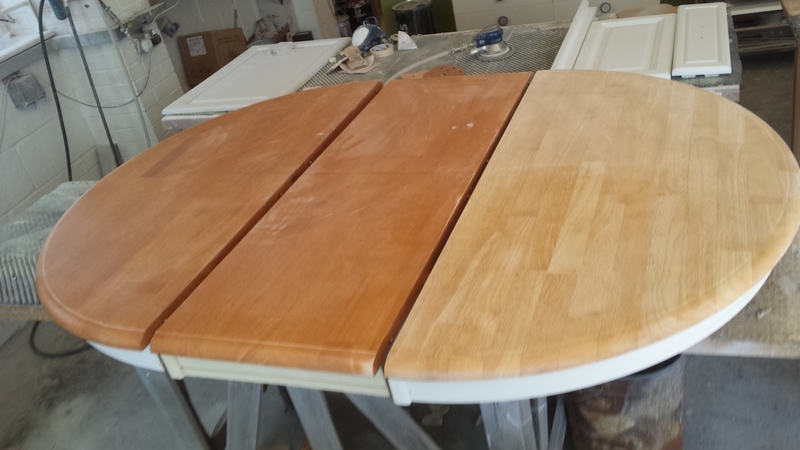 We found the stain colour that closest matched their existing kitchen, then sprayed the stain onto the new doors. 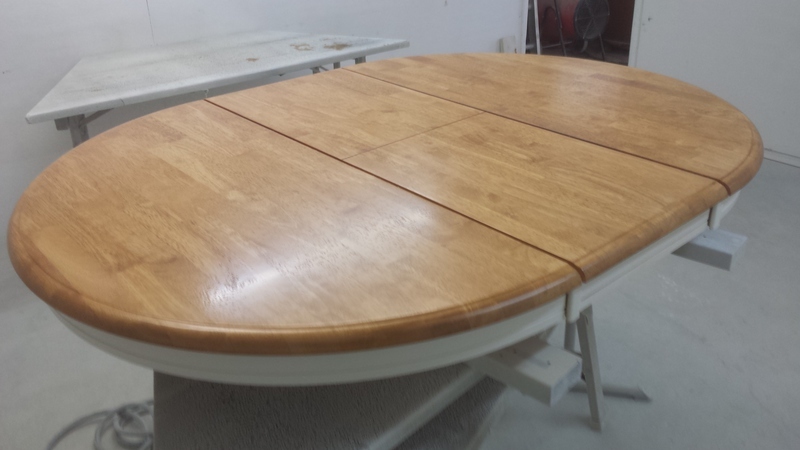 Once dry, we sprayed layers of a clear hardened polyurethane lacquer. 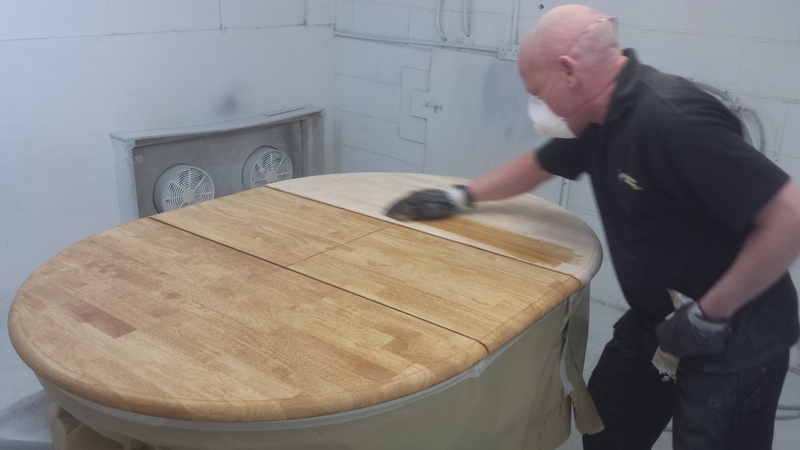 The two videos below show the stain and the lacquer being sprayed in our spray booth. 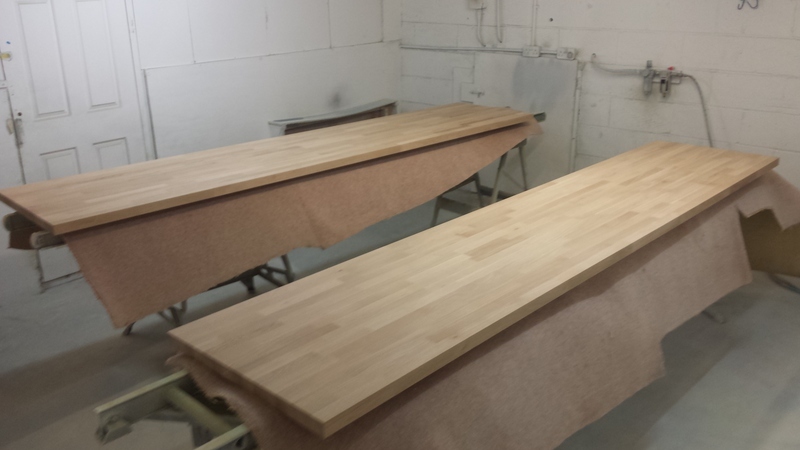 The photos underneath the videos were sent to us by our customers after they had refit the doors in their home. 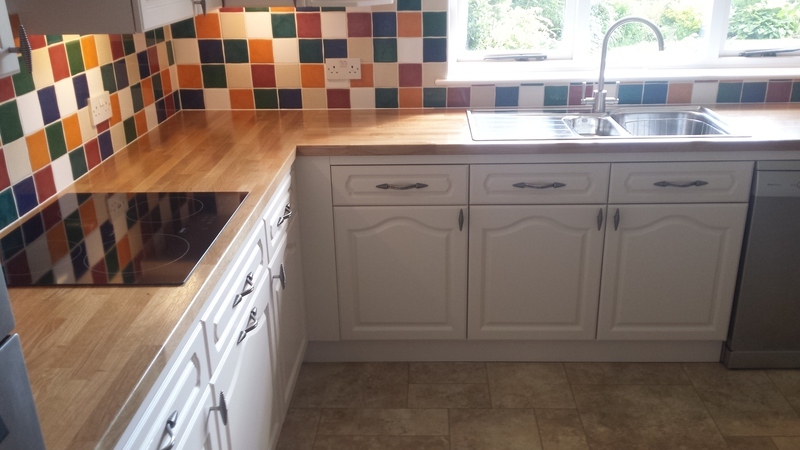 Photo sent to us from our customer after they had fitted their new doors. 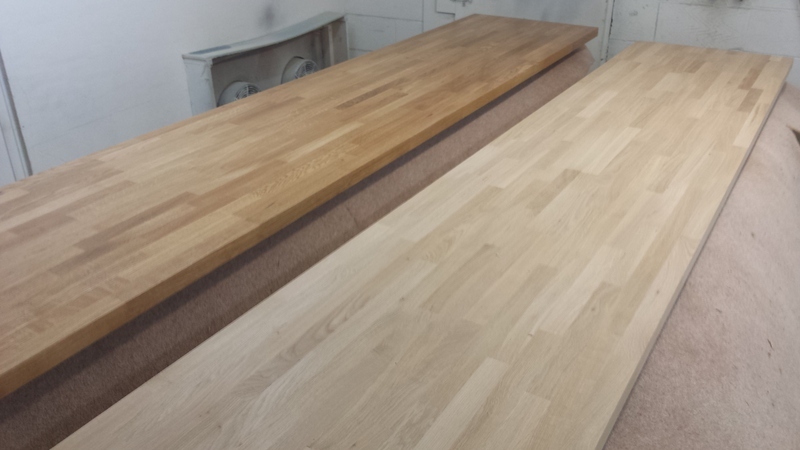 The slide show below shows the dining table going through the process of being prepared, stained & lacquered, and the before & after photos of the oak worktops we recently lacquered for a customer.